Today: Light winds out of the west and gradually turning south. 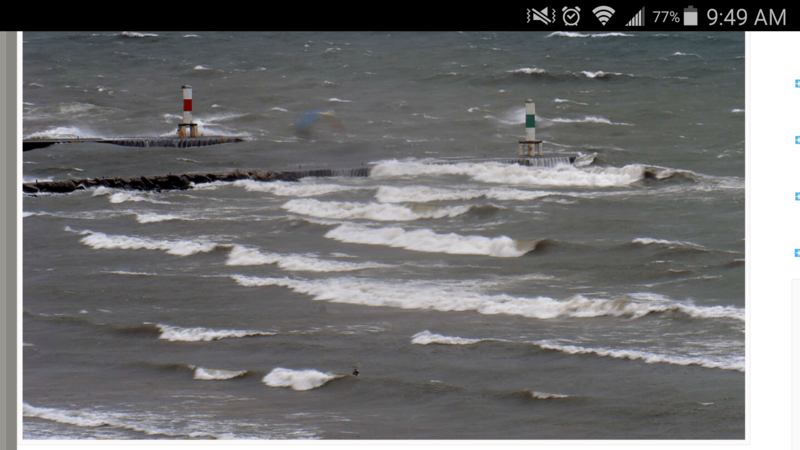 Not enough wind for kiteboarding. Saturday: From mid to late morning the wind will be out of the SSW at 15 to 20 knots for the majority of the day. However, a decent amount of rain is also in the forecast for that same time period. If you don’t mind some rain and possible gusty conditions there will be some riding to be had. Sunday: West winds in the 10 to 15 knot range. Early morning looks the windiest for a light wind session. Wednesday and Thursday of this past week were pretty epic! Lots of west wind and monster waves.